The peak summer season may be coming to an end but that doesn’t mean you can’t continue to earn big profits. This fall you can expect to see a shift in guest demographics. 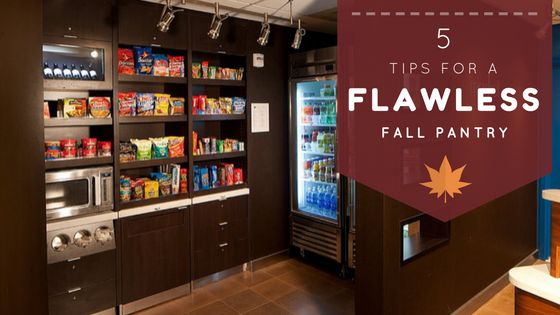 The seasons are changing and so should your Pantry. Follow these five tips and your Pantry will be stocked to satisfy their every need.